As a mission-driven lender, Capital Impact Partners collaborates with a wide range of public, private and philanthropic organizations that invest in our efforts to transform underserved communities into vibrant places of opportunity. These partners—and the financial support they provide—are indispensable. Quite simply, our work would not be possible without them. One partner that has been especially critical to our success over the years is the Community Development Financial Institutions Fund (CDFI Fund), an agency of the U.S. Department of the Treasury that was established in 1994 to provide financing and capacity-building programs to help CDFIs throughout the nation deliver critically needed financial services to low-income communities. At Capital Impact Partners, we are deeply grateful to the CDFI Fund for the support it has provided to our organization, as well as to hundreds of other organizations over the years. Since 2003, Capital Impact Partners has received critically important resources through the CDFI Fund’s programs, and, during the past few months, we have been honored to receive five new awards. The most recent of these was announced on November 17, when the CDFI Fund awarded a total of $7 billion in tax allocation credits to 120 organizations nationwide through the 2015-2016 round of the New Markets Tax Credit Program (NMTC Program). Capital Impact Partners was selected to receive $70 million in allocation authority. The NMTC Program is designed to attract private investment capital to low-income communities by giving individual and corporate investors a federal tax credit in exchange for making equity investments in community development entities—financial intermediaries that provide loans, investments, and financial counseling to low-income communities. Capital Impact Partners has a strong track record in the NMTC Program, and we plan to use our new NMTC award to build on that record by partnering with private sector investors on high-impact projects in low-income census tracts in cities such as Detroit, Los Angeles, and Richmond, California. Prior to receiving the NMTC award, Capital Impact Partners was one of 32 organizations chosen to receive nearly $91.5 million in grants through the 2016 round of the CDFI Fund’s Capital Magnet Fund. Our $4.8 million grant was the third largest grant awarded during this round. The purpose of the Capital Magnet Fund is to support the development of affordable housing and community facilities in low-income communities, and we plan to use our grant to expand our inclusive growth strategy in Detroit. Over the past decade, Capital Impact Partners has deployed more than $150 million in financing in Detroit to support the development of diverse, mixed-income communities that promote economic mobility and equitable access to quality services. The Auburn, Rainer Court, and Shoppes at Woodward are just a few examples of our work there. We also received two other awards from the CDFI Fund in September: a $2 million Financial Assistance (FA) grant through the CDFI Fund’s flagship Community Development Financial Institutions Program (CDFI Program), and a $2.4 million grant through the Healthy Food Financing Initiative (HFFI). Capital Impact Partners was one of 196 organizations to receive an award, and one of only nine CDFIs to receive both an FA grant and an HFFI grant. Like the Capital Magnet Fund grant, these two grants will help us expand our reach and impact. We will use the FA grant to increase our lending and investment activity in the low-income communities we serve, and we will use the HFFI award to support projects that increase access to healthy foods in communities without access to grocery stores in Michigan and California. Capital Impact Partners has become a leader in the healthy food financing movement. Among the healthy food projects we have financed recently are the mobile market Produce on the Go, the food cooperative First Alternative, and the traditional grocer Imperial Fresh Market. You can read more about our commitment to healthy food financing here. 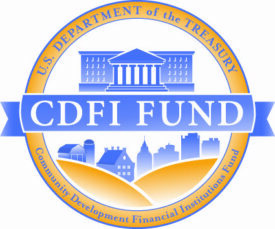 Also in September, the CDFI Fund announced that Community Reinvestment Fund, USA, was issuing a $165 million bond on behalf of three leading CDFIs—Capital Impact Partners, Low Income Investment Fund and Reinvestment Fund—in the fourth round of the U.S. Treasury Department’s CDFI Bond Guarantee Program (BGP). Established in 2010, the BGP provides CDFIs with access to substantial long-term, fixed-rate capital for projects in low-income urban, rural, and Native communities. Capital Impact Partners will use the $40 million it receives through the BGP to provide loans for borrowers seeking to build or expand community health centers, charter schools, mixed-use housing, healthy food retail, and projects that help older people age with dignity in their own communities. Among the projects we have financed in the past using the BGP are the Kipp Cooper Norcross Academy charter school in New Jersey—the single largest transaction in Capital Impact’s history—Detroit Edison Public School Academy, and the Sonoma Valley and Tiburcio Vasquez Health Centers in California. As I mentioned, Capital Impact Partners is just one of hundreds of CDFIs nationwide that have benefited from the CDFI Fund’s support. 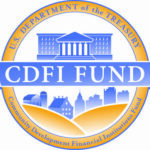 Since its creation in 1994, the CDFI Fund has awarded more than $2.2 billion to CDFIs, community development organizations, and financial institutions through its CDFI Program and other programs. In addition, the agency has awarded $43.5 billion in tax credit allocation authority to community development entities through the New Markets Tax Credit Program. Another $1.1 billion has been guaranteed in bonds through the CDFI Bond Guarantee Program. But these numbers tell only part of the story. Each dollar the CDFI Fund invests helps CDFIs finance new businesses, create new jobs, develop new affordable housing, health centers, and community facilities, and strengthen local social service organizations. Each dollar helps CDFIs create new opportunity where opportunity is needed most. And the benefits don’t stop there. Many of the CDFI Fund’s programs require award recipients to leverage their awards with investments from private sources. These private investments not only spur additional economic activity but also generate significant state and federal tax revenue. They significantly amplify the power of the original awards. Take, for example, the NMTC Program. As we highlight in our NMTC Program policy brief, every dollar the federal government invests in the program generates more than $8 in private investment. In 2012 alone, the NMTC Program spurred $15.2 billion in economic activity, which in turn yielded $984 million in federal tax revenue—more than enough to offset the $800 million in tax revenue that the government lost through the use of the tax credits that year—and $542 million in state and local tax revenue. And, make no mistake, the social impact of the NMTC Program has been powerful. The CDFI Fund estimates that the program has created or retained 197,585 jobs and has supported the construction of 32.4 million square feet of manufacturing space, 74.8 million square feet of office space, and 57.5 million square feet of retail space. Other research indicates that the overwhelming majority of NMTC investment has targeted communities that far exceed the program’s minimum requirements for poverty and income. According to the New Markets Tax Credit Coalition, from 2003-2012, 76 percent of NMTC projects were located in severely distressed census tracts with poverty rates above 30 percent, median incomes below 60 percent of the area median income, or unemployment rates one-and-a-half times the national average. The NMTC Program is only one example of the tremendous social and economic impact of the CDFI Fund. Indeed, the CDFI Fund’s two decades of work to create new economic opportunity has been an unqualified success. And, yet, that work is just beginning. As the CDFI Fund and the CDFI industry know all too well, there is still so much to be done to lift up our nation’s low-income communities. Whether that work continues to get done will depend on whether support for the CDFI Fund continues to grow. That is why, as Capital Impact Partners’ director of policy and development, I often speak to Congressional stakeholders about the impact of the CDFI Fund’s programs in the communities we serve and about the need to increase funding for the CDFI Fund. And that is why I now urge my colleagues in the CDFI industry, as well as members of the general public, to express their support for the CDFI Fund. Now, more than ever, our voices must be heard. As the new administration prepares to take office in 2017, we cannot remain silent. It is time for all of us to contact our representatives and share our own stories about the impact of the CDFI Fund. It is time for all of us who have seen firsthand how the CDFI Fund helps transform lives and build resilient communities to do everything we can to ensure that the CDFI Fund’s future is even greater than its past. It is time for all of us to stand up and speak out on behalf of the CDFI Fund—a partner that is truly indispensable.